F holes in a Celtic mandolin? Are you sure? 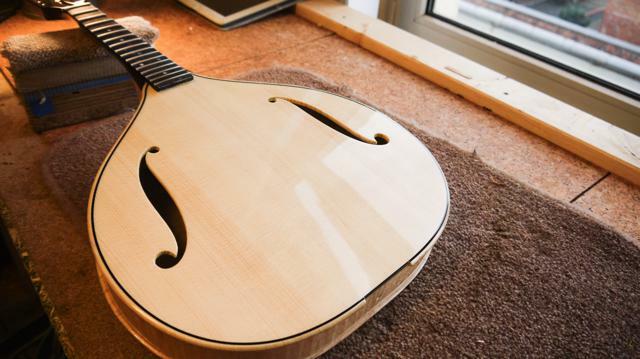 Why would you want a Celtic f mandolin? Well, some time ago I wrote a blog piece called “What is a Celtic mandolin” where I asked a few top players what they thought a “Celtic mandolin” was. 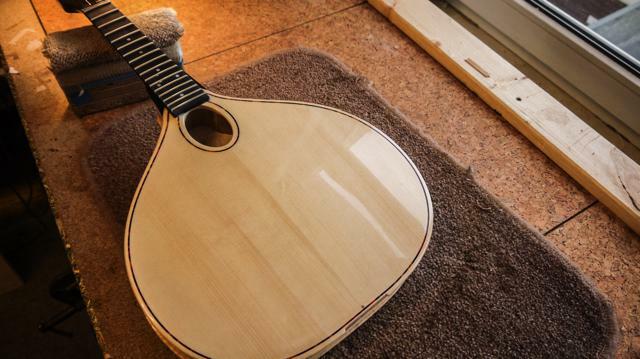 I also included my own highly biased views about what I feel works and what does not about many of the mandolins out there destined for the “Celtic” market. Discussions about the post were interesting and I got a few good ideas from what folks had to say. Because of this discussion I got thinking about Celtic mandolin design beyond just making what’s been done before. 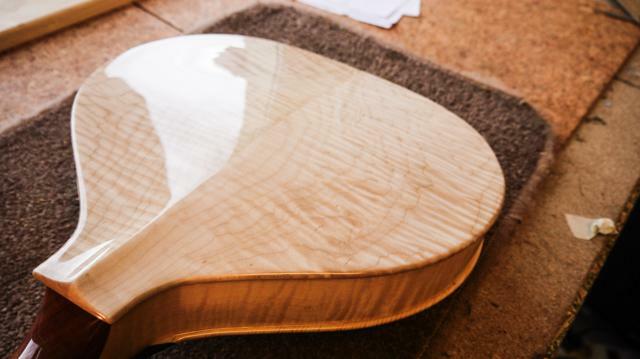 So, I set about making a pair of mandolins that I hoped would not only have the tonal qualities folk like in “onion” shaped mandolins but could hopefully project a little more like their “shallot” shaped cousins from across the pond. The first pair I made were interesting – I strung up the first one and it was so successful, I didn’t bother stringing up the second. It went in the bin. So it was back to the drawing board. It’s tricky, trying to make a large bodied mandolin project. It’s easy to make a loud coarse sounding one, but I’m interested in quality as well as quantity. 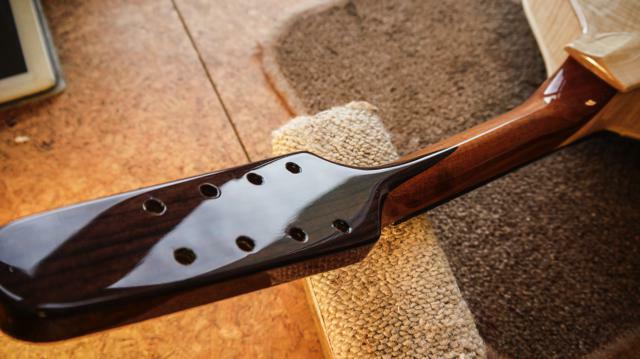 Likewise I knew the direction to go in wasn’t to knock out another flat back Sobell “tribute” – we made a lot of mandolins over the years and in general much preferred the maple bodied ones over the rosewood ones. With maple there was a hint of “chop” in the bass you’d normally associate with the better American instruments yet with that European sparkle in the treble. I thought I’d srart with a pair – a Celtic oval hole and a Celtic F mandolin. And I’m very happy with the results. So this new Celtic F mandolin is designed for a bit more of that “chop” in the bottom end. It’s due to go to a chap in Scotland soon but a feller called round on his way to a mandolin camp in Dresden last week and he really liked it. The instrument responds super fast, much more so than you would expect for such a wide mandolin. 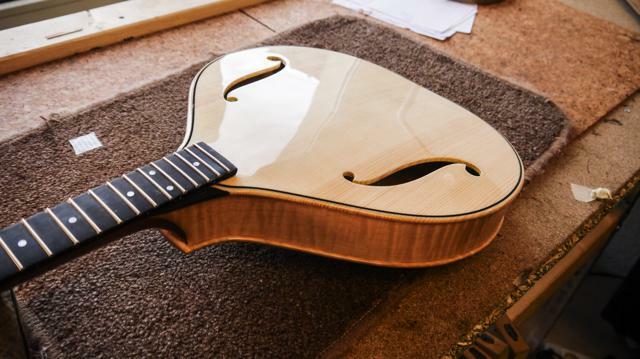 As for the oval hole Celtic mandolin, whilst the body shape is the same as the Celtic F the sound is sweeter and more familiar to those who like traditional Sobell maple style mandolins. Less bark perhaps, but more warmth. The first pair (one oval and one f) have been strung up for a while now and I’m very happy with them – and soon it’s time for then to go out to their new homes – so their isn’t time to send them off to make a video. But hopefully I’ll have time when I finish off the rest from this batch which are due back from the sprayers soon.